The discount supermarket said racks of sweets had been replaced with dried and fresh fruit, oatcakes and juices, following a trial of these healthier options at checkouts last year. Lidl customer research showed that seven out of 10 customers would choose a sweet-free checkout over the traditional one laden with chocolate bars. In a survey for the supermarket, 68% of parents said they were pestered by their children for chocolate at the checkout, and 66% gave in some or all of the time. One in six parents told the supermarket they spend £20-40 a month on supermarket snacks, while a similar number said they had used the offer of a “treat” as a reward for good behaviour during the shopping trip. The supermarket claims it is the first UK supermarket to have removed sweets from all its checkouts. Although Tesco and Sainsbury’s have removed sweets from counters at their larger outlets, they continue to be sold at the checkouts in convenience stores. The ban comes after a National Obesity Forum report showed that previous estimates that half the UK population will be obese by 2050 had understated the problem. Clothing giant H&M says it wants to set an example among retailers by committing to assuring that international garment and textile workers receive a living wage. H&M is pledging to pay a living wage to 850,000 textile workers after expressing frustration over a lack of action by governments to address working conditions in Asian factories in the wake of the Rana Plaza disaster. The world’s second-biggest clothing retailer said it would support factory owners at two factories in Bangladesh and one in Cambodia to adopt a fair living wage next year. The Swedish company, which has more than 200 stores in the UK, will then expand the programme to cover the 750 factories that supply its clothes by 2018. Working conditions for textile workers in developing countries have risen up the international agenda following the Rana Plaza disaster this year when 1,129 were killed by the collapse of a garment factory in Dhaka in Bangladesh. H&M did not have clothes made at the site and was the first company to sign a safety agreement for Bangladeshi factories after the disaster. H&M said that because conditions varied between countries and factories, it would support textile workers in negotiating a living wage – a salary that enables a decent standard of living – instead of imposing a figure. The company said it would use the Fair Wage Method, an established process for achieving a living wage. After identifying workers’ basic needs, a wage is agreed and is then reviewed regularly with better dialogue between workers and employers. Never lose touch with anybody. Get the small stuff right from minute 1. Be a person they want to talk to. Ask more customers for leads. 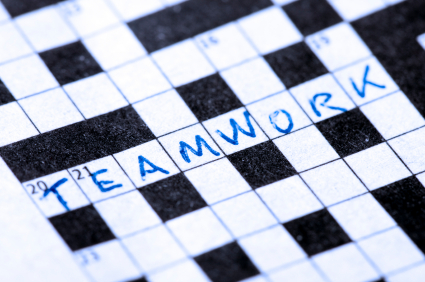 Brainstorm at every team meeting: what’s working and how can we do more of it? Anticipate the market; predict the client. 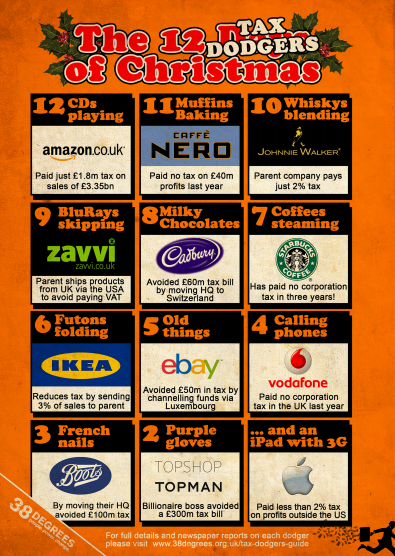 Never, ever, ever allow yourself to doubt that you can get a bigger slice of a shrinking pie. 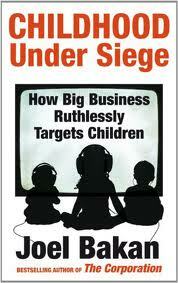 As a children’s and youth worker I am fascinated by how culture, media and business shapes our children, and so it was with interest that I read Childhood Under Siege: How Big Business Ruthlessly Targets Children by Joel Bakan. Bakan shows that we fail to protect our children, even though we profess to hold them close through things like in 1989, governments worldwide promising all children the same rights by adopting the UN Convention on the Rights of the Child. The book explores education, pharmaceutical business, ecology, child labour and more in the USA showing that across industries business is targeting children putting profit first. The book at times can be scary and feel overly dramatic, but I think it is a helpful cynical look at how business and children work together. Apple’s naming approach is inconsistent, it begs for lawsuits (offensive and defensive) and it shouldn’t be the model for your organization. iPhone is a phone, iPad is a pad, iPod is a … (and owning a letter of the alphabet is i-mpossible). Procter and Gamble, on the other hand, has been doing it beautifully for a hundred years. Crisco, Tide, Pringles, Bounty, Duracell–these are fanciful names that turn the generic product (and the story we believe about it) into something distinct. If you can invent an entire category, fabulous, that’s an achievement. For the rest of us, resist the temptation to be boring or to be too aggressive. It’s your name and you need to live with it. The founder and chairman of Virgin became the first person to pass 1 million followers on the social network in the less than two months since LinkedIn launched its influencers program. LinkedIn launched the influencers network in early October in an effort to continue boosting engagement on the site. Branson has been among the most popular influencers on the social network pretty much from the start, so it’s little surprise that he would be the first to pass the million threshold. What’s striking is just how far ahead he is of the rest of the influencers. He has twice the number of followers of President Obama, who is the second most followed person on the social network. 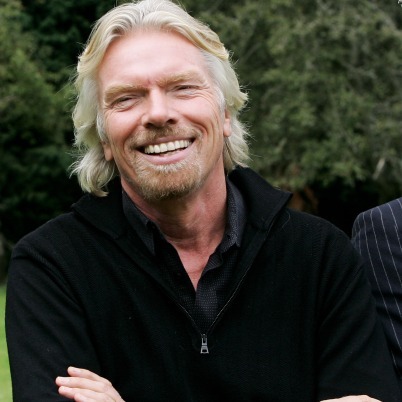 Branson’s growing following also shows off the potential for LinkedIn as a platform. However, it’s worth noting that Branson currently has more than 2.6 million Twitter followers, so his reach on LinkedIn is still significantly smaller. Start on time to reward those who turn up on time, to be able to manage your schedule and because it might be impossible to wait for everybody. But how do you cope with the problem of latecomers missing part of your message? Offer 100% value from the start but ensure that it is not integral to your argument until say 5/10 minutes in. Then ‘on-timers’ are rewarded with extra ideas. You get into the flow. And late-comers have enough to pick up the story. Start on time. If you’ve always felt a compulsion to meet everyone else’s needs before your own, it’s hard to imagine being different. People-pleasing is not only what you do, but a strong part of who you believe you are. If this sounds like you, before you can move forward in your time management habits, you need to realize you don’t have to be so vulnerable to these attacks on your schedule. You can maintain appropriate boundaries. In some jobs, immediate responsiveness comes with the territory (just think of fire fighters). In others a quick reply is preferable, such as with customer service reps or publicists. But in many other work situations, this cycle of responsiveness leads to neglect of the most important activities. Either they don’t happen at all, or you end up filling your nights and weekends doing your “real” work with the last fumes of energy you can summon. Wanting to make people happy is not an intrinsically negative quality. You are not a bad or flawed or inadequate person if serving others and receiving affirmation just fills you with joy. (I know because I’m one of those people!) It’s just that if you feel compelled to always help people—even at the expense of other higher priorities—you need to condition yourself to be less sensitive to other people’s needs and more aware of your own so you can stay in balance. Speaking of balance, if you’re never helpful, always insistent on having your way, never wanting to go the extra mile, this article doesn’t apply to you either. It’s good to work as a team, to help others, and to give as much or more than you take. What I outline below applies to those who work themselves like crazy and are feeling exhausted, resentful, and frustrated because they’re not making headway on their own goals. Many [workers] feel guilty about the fact that they’re in so many meetings so they develop the mindset that “I’m a bad [employee] if I don’t always keep my door open when I’m in my office.” But this can lead to every spare minute between appointments being filled by people walking through their door eager for attention. In turn, all of their own work needs to happen in the evenings and weekends, which then leads to a cycle of guilt about being a bad spouse, parent, or friend. In instances like this, you’ve set up strict rules about what someone in a role should or shouldn’t do; but in fact, these rules are negotiable. By changing your standards for what it means to be a good friend, significant other, employee, or committee member, you can keep better boundaries without feeling guilty. If you’re an energetic, service-oriented person, your tendency is to always respond to any request by saying, “Sure, I can do that.” Or when you’re sitting in a meeting and someone asks for volunteers to help, you always raise your hand. Or even when no one asks for help—but you know they need it—you offer to assist. In and of itself, a strong desire to take action isn’t bad. But if this attitude means that you’re completely overloaded with work and unfocused on your top priorities, you are failing to keep the commitments that truly should fall under your ownership. A way you can retrain yourself to not take on too much is to ask the question: “Do I actually have excess time to spend on this activity?” If yes, then it’s fine to take it on. If not— and you’re not prepared to let go of something that currently occupies your time—you need to refrain from offering your services. In many instances, there are other people who can step up. If you can’t resist the urge to jump in, disconnect yourself when you’re off hours so that you’re not even aware of every crisis. Even if it seems like a can’t-miss opportunity, remember that there will always be other chances. There will always be more events, more conferences, more articles, even more crises to solve—more of everything. If you don’t make time for what’s an enduring priority for you, such as sleep, rest, or time with important people, you’ll miss out on what truly matters. In my experience, highly intelligent, hardworking people tend to struggle with letting go of control through delegation. This challenge seems most acute when they go from a “doing” role such as a consultant to a “leading” role such as a department head. Instead of passing off responsibilities to the appropriate parties, you tell yourself, “It will just take a minute. I can get this done better and faster than anyone else.” These thoughts do have some truth to them in that you may have the ability to execute on some activities very well. But if you’re like most business leaders, you don’t have the minutes to spare. In a typical week, you’ll have just a few precious work hours you can devote to doing the activities that only you can do. The first question you should ask with any item—big or small—is: “Could someone else do this for me?” If so, delegate it. The more organized you get, the better you’ll be able to delegate without “inconveniencing” others. But it’s also OK to ask others to pitch in even when it’s not ideal—so that you don’t end up buckling under the pressure. If you spend all your work time on activities like fixing computer problems, instead of e-mailing IT, setting up meetings, instead of handing that off to your assistant, and researching and putting together presentations, instead of delegating them to the subject matter experts, you will miss out on leveraging the power of the unique, strategic leadership you can offer to your organization.